Published on April 4, 2011 in Culture, General T&T, India, Politics, Race and Identity and Security. 3 Comments Tags: African, Kamla Persad-Bissessar, Nizam Mohammed, Politics, T&T Govt. THE EDITOR: Politicians in Trinidad and Tobago have always used cultural (ethnic) differences among our people to gain office, power and wealth. This ethnic baiting strategy is most notable at election time and goes back to colonial times. Published on April 1, 2011 in corruption, Court, Crime in T&T, General T&T, Media and Politics. 2 Comments Tags: Crime in T&T, Politics, T&T Govt. BUSINESSMEN Ishwar Galbaransingh and Steve Ferguson, who have spent the past nine months in jail, were yesterday granted bail by a High Court Judge. 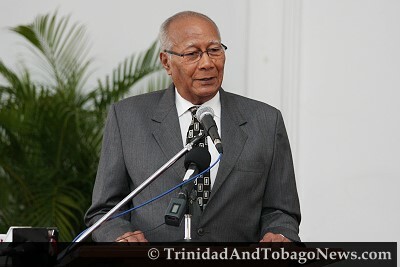 Justice Ronnie Boodoosingh, presiding over Court 20 at the Hall of Justice in Port-of-Spain, granted bail to the men. However, the judge increased the original bail figure of $1 million per accused, to $2 million.